Last month, fans of England’s Great British Bake Off (known in the States as The Great British Baking Show) were handed a bit of a bad bake, when the beloved cooking show announced that hosts Mel Giedroyc and Sue Perkins and judge Mary Berry would all be leaving the series when it moved to Channel 4 next season. The switch in channels comes after the commecially supported network outbid the BBC, which has aired seven seasons of the massively popular baking program, for the rights to air the show. And while judge Paul Hollywood—who’s technically the show’s “bad cop,” given that he doesn’t pleasantly smile every single second he’s on camera—is sticking around, the loss of three-quarters of TGBBO’s on-screen talent is clearly a problem for a show that can peg much of its popularity to the gentle personalities of its hosts. To counter the problem, though, it sounds like Channel 4 might be recruiting one of its most beloved stars to keep fans coming back to the tent, with Vulture reporting that The I.T. Crowd’s Richard Ayoade is apparently in the running to take over for Giedroyc and Perkins as the show’s host. 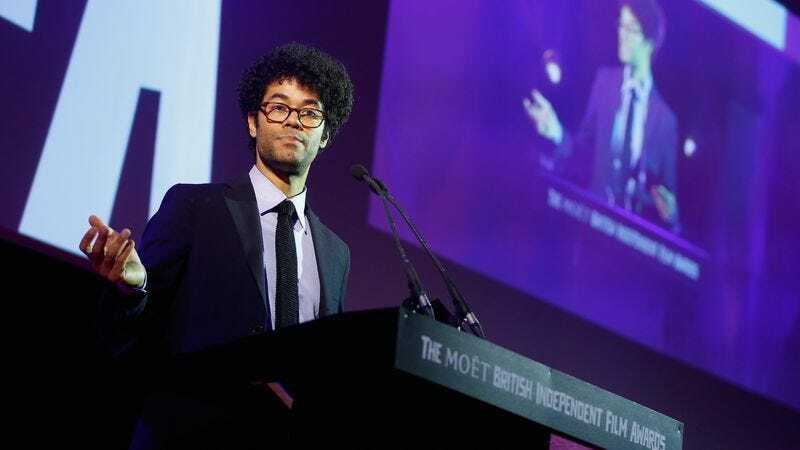 Ayoade—whose other Channel 4 duties include regular appearances on The Big Fat Quiz Of The Year and the docu-series Travel Man—is apparently the “frontrunner” for the part. That being said, rumors continue to swirl around one of British TV’s most high-profile gigs/opportunities to say the phrase “soggy bottoms”. Vulture also suggests that Jo Brand, Dawn French, and Jennifer Saunders are also all in contention for the part. Note: A previous version of this story listed Channel 4 as for-profit, instead of being publicly owned but supported by advertising.